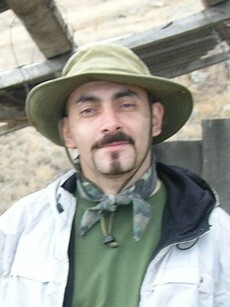 Karen Aghababyan has completed his PhD in Biology (specialization Zoology) in 2001. He was working in the Institute of Zoology of Armenian NAS until 2003, and is teaching in American University of Armenia. Since 2015 Aghababyan leads TSE Towards Sustainable Ecosystems NGO. He is the National Coordinator of “European Breeding Bird Atlas 2”, expert of IUCN SSC, Wetlands International, and other organizations. He has received over 20 grants, one scholarship, and one award. He has published over 60 papers and is co-author of 3 books. He has been teaching 7 different courses in Environmental Science and Conservation.